When people think of the connections between sports and music, they probably don’t immediately consider the parallels between baseball and punk rock. One is arguably the most conservative game in the nation’s history, and the other is a brash style of music that prides itself on being exactly the opposite of that. But for Jak Kerley — a filmmaker for both the nation’s punk scene as well as the Greensboro Grasshoppers, the Single-A affiliate of the Miami Marlins — his preferred music genre and his sporty day job were inexplicably connected in a number of ways, all of which he hopes to show in his documentary, Baseball Punx (out February 16). In recent years, Kerley began noticing how often baseball would be referenced in punk rock. Although the appreciation wasn’t always reciprocated in equal amounts, the documentarian also realized that professional baseball had its fair share of punk rockers as well. With Scott Radinsky the most obvious connection as both the Angels’ bullpen coach as well as the frontman of Pulley after spending the bulk of the ‘90s splitting his time between pitching in the Big Leagues and singing for various punk bands, Kerley began compiling a list of the crossover members of his two favorite pastimes — and it soon became obvious what he would have to do. Throughout the entire process, Kerley’s biggest surprise was that all of the bands, athletes, and artists he wanted to work with were totally willing and excited to be featured in the documentary. From Radinsky to PUP to the Tampa Bay Rays’ Vincent Caffiero, virtually everyone Kerley asked was happy to contribute any way they could even in the film’s early days. 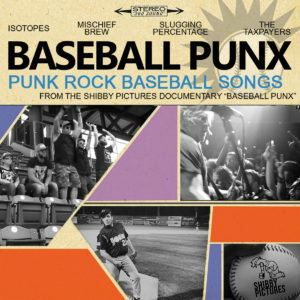 Of course, no punk rock/baseball documentary would be complete without soundtrack additions from local bands like Benny The Jet Rodriguez or resident baseball-loving rocker Riley Breckenridge’s baseball-themed non-Thrice band, Puig Destroyer. 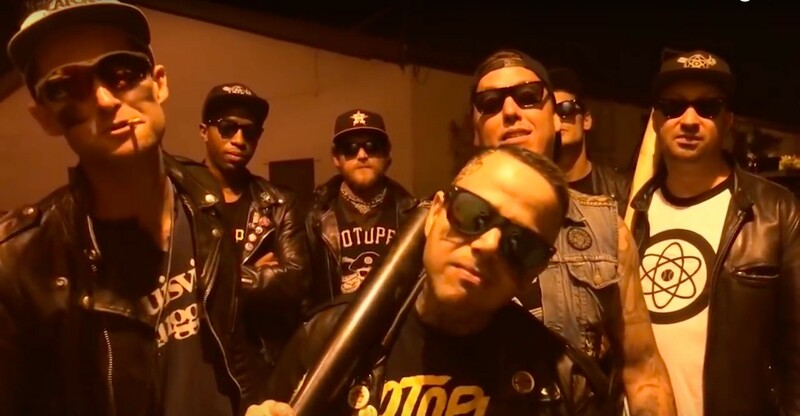 Although Puig Destroyer might be the only team involved in Baseball Punx named after a current local ballplayer, everyone involved in the film will likely agree with Miller on being able to proudly rep their favorite team while maintaining their punk rock dignity. As with any sports discussion, that’s probably where the agreements will end though, with each artist firmly supporting their favorite players and teams regardless of what statistics or sports history has shown to be true. Even when it comes to topics that the most advanced sabermetrics haven’t touched yet — like who the most punk rock athlete in the MLB today is — you’d be hard-pressed to find two contributors with the same answer. “I’m sure there are a lot of guys out there who like punk rock but keep it under their hat because the nail that sticks out gets hammered down in America, but Yasiel [Puig, the Dodgers’ rambunctious outfielder] is just a wild man,” Miller answers. “He does what he wants to do and has fun. He doesn’t think too much — or enough — about the repercussions. He doesn’t care about the unwritten rules. He’s just punk rock.” Though he probably doesn’t listen to much punk rock, when we first released our EP, Puig actually showed up at the MLB Fan Cave when that still existed and they played one of their songs for him. “He said ‘That’s good,’ so we do have the official Yasiel Puig seal of approval,” Miller says. But if there’s one thing the vast majority of punks in baseball can agree on, it’s that they’re all thankful Kerley managed to document the intersection of their two passions. After all, the experienced filmmaker was just a meltdown by the Astros away from permanently scrapping the entire thing in October..